Founder’s Choice brand cabinetry has been Washington’s choice for cabinets since 2005. 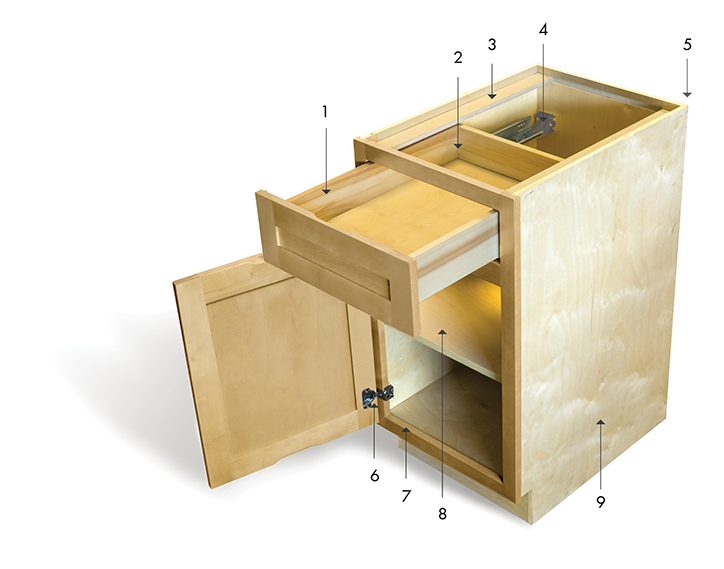 We’ve earned that title with our locally constructed cabinets, that are built right here in Tacoma, WA. Our cabinets are designed to be a constant in your new kitchen; install them and let them do their job. We stand by them with a Limited Lifetime Warranty, though we doubt you will ever need it. Rather than charging for them as an accessory, we include soft-close guides and hinges on each and every one of our cabinets – whether Craftsman or Select. This specialty hardware saves on your frame by keeping doors and drawers from slamming with force. Soft Close drawers and doors come standard on all of our cabinets and hinges – no extra fees!